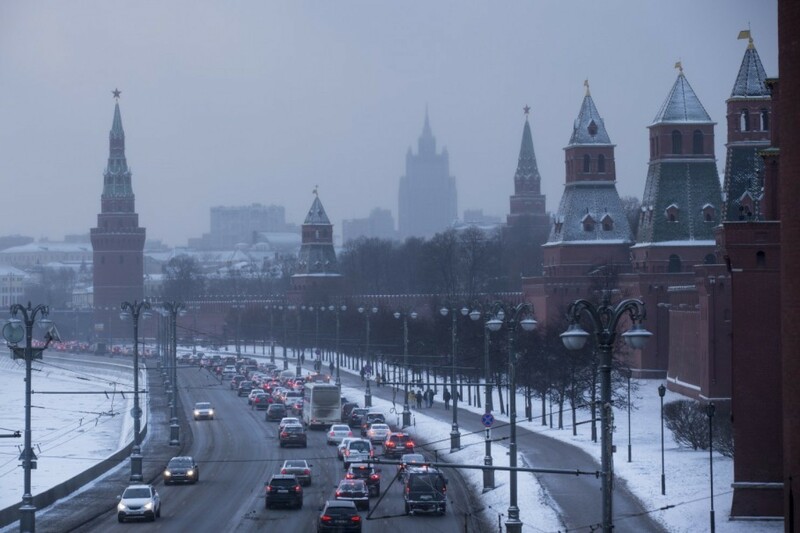 A cold day in Moscow, with no volcano in sight. It was unclear whether the cheeky messages were the result of a hack or someone at Google trying to send a message, and the problem was solved by late afternoon Tuesday, Moscow time. But the problem persisted for at least a day, according to Ukrainian media. Russian and Ukrainian are linguistically similar, and Google’s automatic translation service between the two languages is usually quite reliable. At least one major Ukrainian news outlet, Ukrainska Pravda, uses Google Translate to switch its entire site into Russian as its articles are published online. That means that every mention of “the Russian Federation” would have been rendered as “Mordor,” a grim, volcanic region in J.R.R. Tolkien’s “Lord of the Rings” that is the lair of evil. Pro-Ukrainian activists sometimes use the term to refer to Russia. An unnamed Google spokesman was quoted by RBC Russia as saying that the algorithms used to translate languages were “complex” and that they depend on the context in which words are used in documents and websites found online. “Therefore, there are mistakes and mistranslations, and we try to fix them as soon as possible after finding out about them,” the spokesman said. The error was yet another split between Russia and Ukraine, neighboring nations that were once tightly bound together by economic and cultural ties. But after a pro-E.U. protest movement overthrew Ukrainian President Viktor Yanukovych in February 2014, Russia annexed Ukraine’s Crimean Peninsula, then helped fuel a separatist conflict in the east. The two countries have since cut most of their economic ties, and there are no longer commercial flights between them. Since Jan. 1, Ukraine has entered into a free-trade agreement with the European Union that slashes most tariffs; Russia responded by cutting Ukraine off its own free-trade zone, which includes several former Soviet republics.